My first love in life was art. Growing up in my grandmother’s art gallery and framing studio in Charleston, SC, I was surrounded by art, artists, and their encouraging words. At age 5, I was featured in the newspaper as “Charleston’s Pint-Sized Artist”. In that interview, I boldly declared that I was going to be an artist when I grew up. Well, things didn’t exactly work out that way - a 20 year health care career gave little time for creating art. In 2000, I retired early and went sailing with my husband, George. We lived aboard our sailboat for nearly 5 years in Guatemala. It was there, in the jungle of the Rio Dulce that I revisited my art by painting 76 different animals scenes and cartoon characters on bunk beds and closets that George and I built at Casa Guatemala Orphanage. In addition to Guatemala we’ve traveled in 20 countries, most of which are still developing and whose people struggle daily to make a living. Throughout these travels, I noted that when women have the means to make a living, their families and communities benefit greatly. Their children are able to go to school, growing up with a chance of a better job, thus breaking the cycle of poverty. 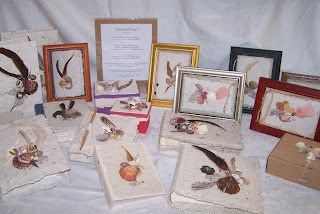 This inspired me to begin creating art to sell - Reclaimed Hope, a line of handmade paper products and Nature’s Decor up-cycled items using natural seed pods and found items. I really didn’t want “creating art” to become a job, but I get great joy from selling my art to help empower women around the world with micro-loans through www.kiva.org. Last fall, George and I “came out” as artists and participated in a few local exhibits. We are excited about joining the MN art scene. Why are you an artist and what mediums do you work in? I am an artist because I love to create things. I believe that the world I create for myself is an expression and reflection of who I am. Much of that has been influenced by my travels. I feel the best way to understand a country’s culture is through its art. Collecting art in those travels allows me to get to know artists around the world. I often learn new techniques, methods and styles which then influences and inspires my own art. I call myself a multi-media artist because I work in a little bit of everything . 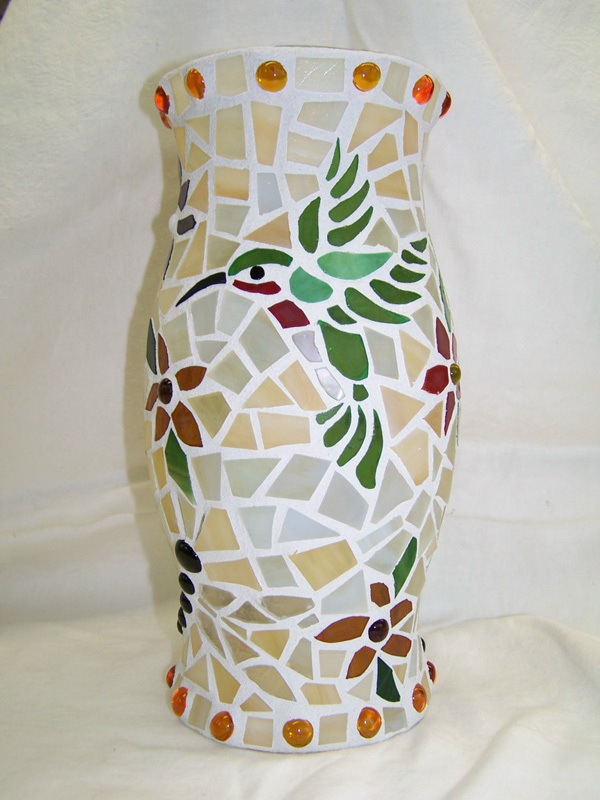 . . drawing, painting, collage, sculpture, clay, paper mache, handmade paper, stained glass, fused glass, mosaics, bone carving, beading, etc. Tell me about your work. What are you currently working on? How is this different from past projects? Being a multi-media artist and working in a wide range of mediums means that I am often working on multiple pieces of art at the same time. I love variety in life and variety in my art. 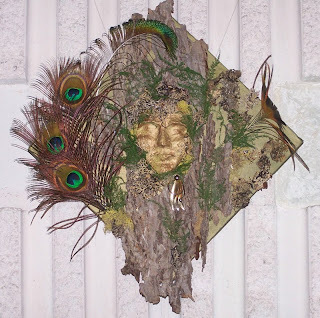 Right now I am working on a fused glass window overlay; glass and mosaic “yard bling”; a batch of handmade paper for photo albums; a paper mache clay face for a Native American tree spirit; and a collage for Burning Man. 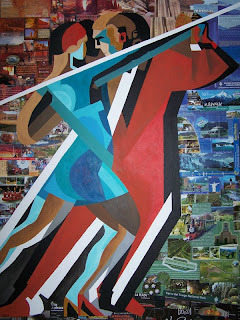 This collage is different because I am creating this piece specifically for the event and its theme - “Rites of Passage”. I usually create a collage as a result of finding an unusual item, a philosophical point of view, or in memory of our travels. I love collage because it provides great freedom. “What is Art?” is certainly too big a question to ask here, but what do you hope your audience takes away form your art? What statement do you hope to make? Art is any and everything that gets the spectator to stop for a moment and to reflect, to think, to question, to smile or to frown, and to recognize that the world is much bigger and grander than we can imagine. I hope my art makes people realize that we are each just a tiny part of a much bigger picture. If you can create art with passion, create art for pleasure, and create art to increase the joy in your world, then you will be rich beyond your dreams. Art means everything to me. I cannot imagine a world without art. I make and surround myself with art to remind me of the places I’ve been, the cultures I’ve experienced, the people I’ve met, the friends I’ve made. I make art to remind myself how big and yet how small the world is; to remind myself how short our time is here on earth; and to remind others that I was here by leaving something of myself behind. Tell me about your work space and your creative process. George and I built a separate guest house/garage and hobby room before we went sailing. It was a lot of work and took us 2 years, but we did it all ourselves. (I became proficient with power tools during that process). We named our studio the “hobby room” because we wanted to make sure we kept our creative space fun. The word studio sounds so serious and reminds me of work. I don’t want my art or creative process to be “work”. I most often allow my art to be dictated by three things: available materials, inspiration from our travels, and adding something positive to the world. We would seek out artists in their studios. I always learn something new from visiting an artist or craftsman in their studio - whether or not the medium they work in is a medium that I work in. 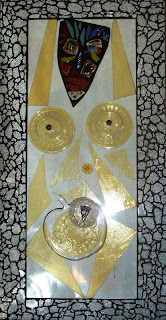 I love seeing someone work with materials with which they have an intimate relationship. In fact, this is how bone carving became one of the mediums in which I (and my husband) work. On a trip to New Zealand, we wanted to see a master bone carver work. He was kind enough to teach us his trade. We returned home and have made over 50 bone carvings for friends and family. Where do you go online for good art resources, whether to find new artist, or to see what is going on in the art world locally and otherwise? I often check etsy.com to see what artists are creating in similar mediums that I work in. 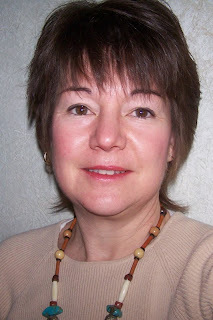 I check mnartists.org, craigslist.com, and regional art councils. As my husband and I are officially “burners”, we are often checking out what is going on with Burning Man.